BTS’ meteoric rise to stardom has been the subject of a plethora of books, articles and discussions. What’s the secret behind the dizzying success of the seven-member boy band from South Korea? Many say it’s the artists’ great music and stellar performances, together with their relatable message. Others say it’s their strong social media presence and loyal fan base, or all of the above. But for music critic Kim Young-dae, who lives in Seattle and has been a close observer of both US pop culture and K-pop for over a decade, something was missing from those assessments. Kim, who contributes to Vulture, New York Magazine and MTV, wanted to tell the whole story about the band that made its debut in 2013. In his new book, “BTS -- the Review: A Comprehensive Look at the Music of BTS,” which is available both in Korean and English, he uses the language he is most familiar with: music reviews. So Kim went through a hefty discography of BTS’ work, including the mixtapes, and carefully reviewed all the band’s songs. 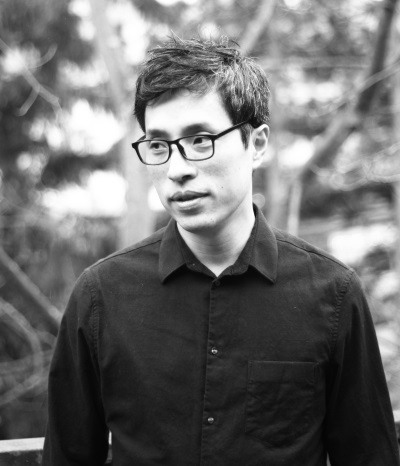 He inserted columns to provide insights into the band and its significance to the K-pop industry. There are also interviews with industry experts including hip-hop journalist Kim Bong-hyun; composer Brother Su, who worked on several BTS tracks; and Lim Hyung-joo, a “popera” tenor who is a voting member at the Grammys. At more than 300 pages, this information-packed book is a gem for BTS fans and anyone else who is curious about the band and its music. A: There have been many discussions explaining the success of BTS and its global phenomenon, but I wasn’t satisfied with them. Mostly because they focused only on what is on the surface and on statistics, such as saying it’s a natural outcome of K-pop’s popularity, with less focus on their music, their message and what is at its core. As a music critic, I thought I could delve deeper into BTS’ music, review the discography of the band and provide meaningful dialogue on BTS. Q: Why hasn’t there been a compilation of reviews covering BTS’ full discography until now? Did you face any difficulties when reviewing BTS’ songs? A: Some still are hesitant about reviewing BTS’ music because they regard the band as another idol group, while some still undervalue BTS’ achievements. So fighting that prejudice against reviewing “idol music” was difficult. For me, though, finding the middle ground between fans who know BTS’ music by heart and ordinary people who are less familiar with its music was tough. I wanted the reviews to not bore the fans but to give them fresh insight, while providing in-depth reviews for regular readers to help them get into BTS’ music. Also, it took a long time to listen to all the songs on all their albums. In order to review them, I had to listen to each song repeatedly. So that was also a lot of work. A: It’s for anyone who is curious about BTS’ music. It could be fans who want to obtain fresh insight, or ordinary people who are less familiar with the band’s music and BTS’ appeal. Q: How would you describe BTS’ music and its style? A: While it’s hard to put one label on all the songs, there is some kind of raw beauty in BTS’ music. When I listen to the songs, there is something sentimental, lyrical and deeply moving about it. It’s hard to explain in a single word, but it produces a sort of sadness and nostalgia, yet makes you feel hopeful at the same time. When you dig deeper into the lyrics, BTS honestly expresses what they feel as young artists living in this time. It’s a message that not only resonates with young people, but transcends age, culture, language and gender boundaries. Q: When did you start following BTS? A: I first heard about BTS before their debut from hip-hop journalist Kim Bong-hyun. He told me a hip-hop band was making its debut with Big Hit Entertainment. In 2014 I was in the US and saw BTS’ name on the lineup for the KCON that year. So I was curious about the band and went to see them. When I saw their performance, it was a mere hunch, but I felt like something very new was about to begin. There were many idol groups, but BTS felt different, with a certain intensity and charisma even for a rookie band. It’s hard to explain, but there definitely was something, so after that encounter, I kept an eye on BTS. 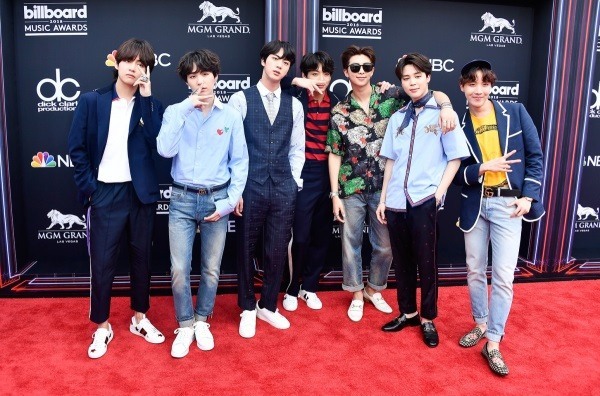 Q You met BTS in person at the Billboard Music Awards last year. What was it like? A: It was brief meeting so we didn’t get to talk much. But one thing that impressed me was that the members were very calm and humble, even though they were at one of the most prestigious venues. They were modest and honest during the conversation, and also authentic and raw -- similar to how I felt when I listened to their music. Q: BTS was nominated in two categories at this year’s BBMA. How do you think the band will do? What’s the significance of those nominations? A: Frankly, it’s very hard to make predictions because BTS has achieved many more records, faster than I had anticipated. For the past two years, BTS won Top Social Artist. And this year, the band was nominated both for Top Social Artist and Top Duo/Group, one of the major music categories. It’s a feat that cannot be ignored. BTS’ music is not in English, but it penetrated the highly elusive US music industry, which is known for its tough entry barriers and its aversion to non-English-language songs. The nomination makes sense, considering BTS’ strong song sales and streaming globally. Q: BTS first started out as a hip-hop idol band and then branched out to other genres, including pop and R&B. What drove the change? Was the transition necessary? A: Back then, “hip-hop idol” was a new format, and it was significant that BTS tried out this new concept. It was a natural choice because the band’s roots lay in hip-hop, and they still do. 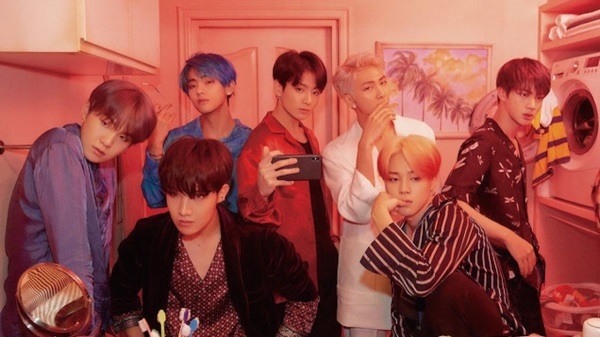 But after a while, BTS began exploring a new genre and expanded its music to tap into the larger audience in keeping with the general music trends and what contemporary audiences demanded. The change was inevitable as BTS became bigger and its influence grew. But what I found interesting is that these changes happened very naturally. Q: By nature, hip-hop and idol music are very different. Do you think BTS succeeded in blending these two contrasting genres? A: I also think hip-hop and idol music are polar opposites by nature. K-pop idols are heavily manufactured (by their agencies), while hip-hop stresses authenticity and being “who you are.” These contrasting genres are bound to collide. But BTS accepted those clashing dynamics. I think BTS’ song “Idol” describes what they really felt. The lyrics say, “You can call me artist, you can call me idol. You can call me whatever, and I don’t care. I am proud of it. I am free, because I was always just me.” From the industry’s standpoint, BTS is a K-pop idol band, while their musical identity is hip-hop. Many people complain that this is a contradiction. But BTS accepts it. They don’t pretend they’re not K-pop idols. Instead, they worked hard to break that musical stereotype about K-pop idols. Q: What’s next for BTS? A: It’s hard to predict because BTS has been breaking records so fast. BTS already earned a nomination at the Grammys this year and went on stage to present awards. Maybe next year, I do believe BTS could be nominated in a major category and win an award as well. I wouldn’t be surprised to see BTS getting nominations at the American Music Awards this year since it already made it to the BBMA. They’ll keep getting more good news. As for the charts, the new album will allow the band to break its previous records because, I believe, since the last world tour its fan base has become stronger and broader. I do believe BTS will gain greater recognition with its upcoming album. Q: BTS is making a comeback via NBC’s “Saturday Night Live.” Why do you think BTS selected this venue for its return? A: BTS has created a sensation in the US, beginning in 2017, thanks to its loyal, active fandom Army. They may be small in size, considering the population of the US, but they are strong. Now what’s left for BTS is to see whether it can reach the general American public in cities where K-pop is still foreign. In that sense, “Saturday Night Live,” as one of the most beloved and popular shows in the US, is the perfect national stage to tap into an audience with wider demographics. But simply (guest-starring) on “SNL” is a big deal, since the show invites only the most popular musicians of the day. Q: Do you see BTS’ success as exceptional or as a result of the development of the K-pop industry as a whole? A: BTS’ success is exceptional in its own right. But the fact that they came from the K-pop industry doesn’t change anything. Their success is vitalizing the K-pop industry, and the band is definitely carrying the K-pop scene now. But to say that K-pop is successful because BTS succeeded is a generalization. Q: Many people attribute BTS’ success, in part, to its “authenticity.” How can authenticity be developed? A: It is difficult to judge an artist’s authenticity, because it essentially is “who you are.” And without knowing that person fully, it is difficult to make any kind of judgment. But the important thing is that listeners have to feel the artists’ authenticity and sincerity through their music. BTS was able to project an air of authenticity because its members were consistent in how they came across on stage, in broadcasts, in social media posts, and in how they interacted with each other. This cannot be manufactured. If it was fake, people would know. And in that sense, Bang Si-hyuk did a great job. He didn’t create BTS’ authenticity, but he created an environment where the BTS members could freely express themselves and develop their authenticity. I think a lot of other agencies could take some pointers from his strategy. Q: What would you say is Bang Si-hyuk’s special know-how, his secret, as the creator of BTS? A: We all know that he is a great composer and producer, from his past work with JYP Entertainment. When it comes to his musical approach, I feel like he cooperates well with other producers to create music, such as Pdogg, Slow Rabbit and Supreme Boi, as well as the BTS members. Rather than pushing his vision and ideas all the time, they discuss things together and work out what BTS should do and sing. Q: By adding up all the factors in BTS’ success, can another superstar be created in the future? A: In the history of popular music, there has never been another (imitator who became a) superstar like the original. When you look at stars like Elvis Presley, Michael Jackson and the Beatles, I am sure there was a formula behind their triumph, but it never created (any successful imitators). Music isn’t that simple. But others can always follow similar steps, and I think that’s important. Will there be another group like BTS? I don’t think so. Because music is organic and continuously breathes with the times. That cannot be duplicated. But other groups can also learn from BTS’ “success formula” of authenticity and relatable music and can become meaningful bands in their own right. Q: Another boy band, TXT, made its debut with Big Hit Entertainment last month. What do you think of them? Q: Can you pick a favorite BTS song? A: That’s tough. But if I have to pick a song that is meaningful to me, I’ll say “Young Forever.” I personally like it, and as a music critic, I think this song is something only BTS could have created. The song honestly lays bare what an artist experiences emotionally -- such as agony, loneliness, affection for fans and the story of youth. This song, even from the perspective of an older person like me, still resonates because, even though we are older, sometimes we feel very young at heart. There is that touching sentiment. Youth here is not exclusively about age, but about anyone who has a dream, and I think that’s why this song is hopeful at the same time. Q: Would you consider yourself a fan of BTS? A: A lot of people are curious about whether I am a fan or not. As a music critic, I try consciously not to be a fan of a specific artist. But when reviewing music by K-pop idols, it’s important to listen from the perspective of a fan. Because the music cannot be fully explained outside that context. So when listening to BTS music, it’s important to listen as a music critic, but it’s even more important to know what the song will feel like for members of the BTS Army. So I try to be in the position of a fan, and also a music critic. Q: What is special about the relationship between BTS and the BTS Army? A: The relationship is very special. The BTS phenomenon didn’t happen because Big Hit and BTS did so well -- the Army’s role was huge. Its grassroots, bottom-up movement, which began when BTS was lesser known, helped put the band in the spotlight. That passion is unique and unprecedented.